travel to the roof of the world! Locked away on the remote Himalayan Plateau, Tibet is an intrepid traveler's dream. Breathtaking, untouched scenery is on a gigantic scale with vast empty plains dotted with nomad's tents and yaks. 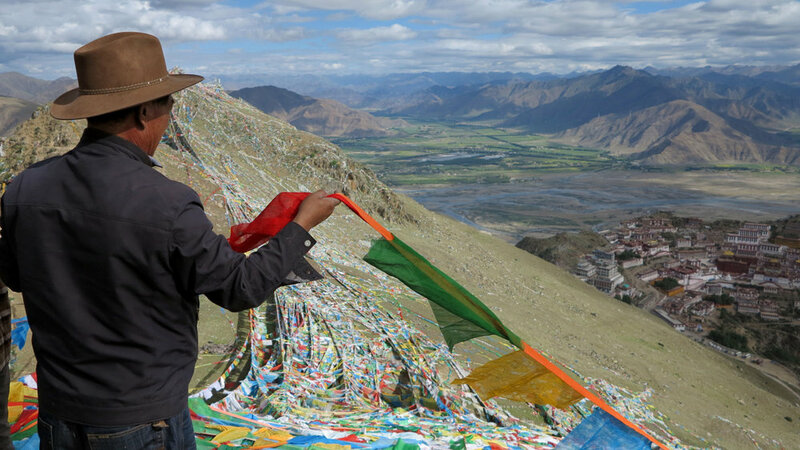 Mountain passes are adorned with colourful prayer flags blowing in the pure mountain air. Glittering turquoise lakes shimmer in the intense high altitude sunlight. Explore Lhasa for the grand Potala Palace and the historic Jokhang, Sera and Drepung monasteries of Central Tibet. Travel west for the pilgrimage to the holy Mount Kailash and Lake Manasarovar, get lost in the ruined cave city of the Guge Kingdom, or visit Everest Base Camp. Come off the beaten track with us in untouched Kham and Amdo in Eastern Tibet, where you can travel easily without permits for an authentic Tibetan adventure! Beyond The Clouds offers unique tours to Tibet, we take you to hand-picked locations away from the crowds, for an adventure you'll never forget. If you don't know how to travel to Tibet, what visa or permit you need for Tibet, or where to go, let us plan your next Tibet vacation, holiday or tour for you. 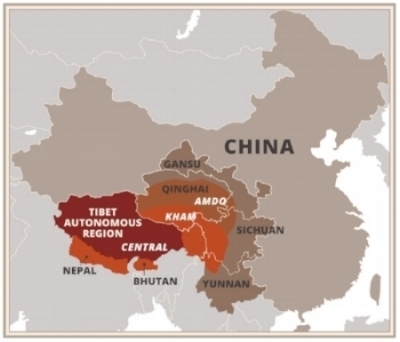 Explore the Tibet Autonomous Region, Kham or Amdo. Visit ancient monasteries, meet the locals, and enjoy breath-taking scenery in this fascinating part of the world. Step into Tibet's famous snow-capped mountains, camp alongside local Tibetan nomads and yaks below stunning 6,000m peaks, and explore majestic hidden valleys far from civilization on the Minya Konka Trek in eastern Tibet. From the city of the gods out to holy Mount Kailash in the west, Tibet is a land synonymous with sacred places. Visit monasteries, meditation caves, mountain retreats, and powerful natural landscapes that have been venerated for hundreds of years. Travel through villages and across the grasslands in remote eastern Tibet, while furthering your yoga practice with a qualified instructor. Visit thriving Tibetan Buddhist monasteries, and stay with a local family in their home. Connect with Tibet through a range of activities and learning opportunities designed specifically for your school, university or club. Select any of our scheduled Tibet Journeys or tell us where you would like to visit and we will tailor-make a journey to suit you. Design your own tour to Tibet and make the most of your time.